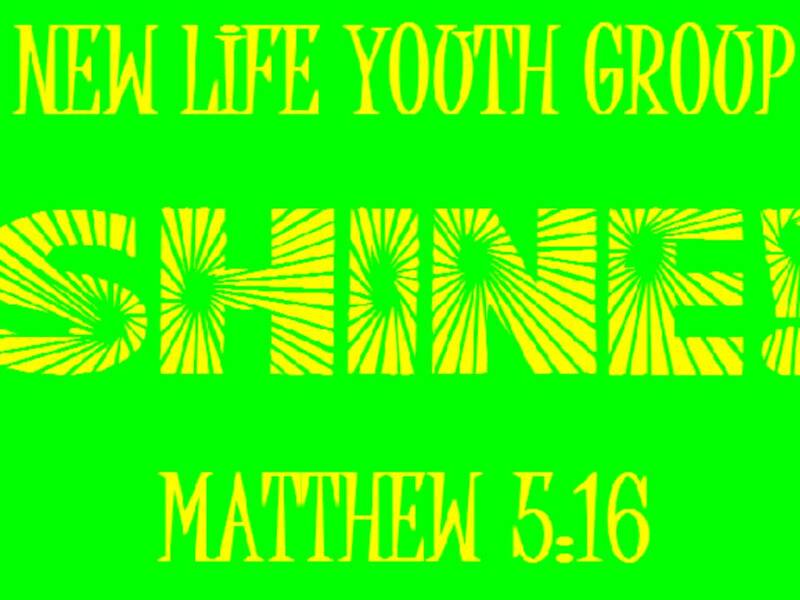 New Life Church enables our teens to SHINE brightly for Christ . There is a time for learning, growing, fun, and fellowship on Sunday mornings at 9:30 am and Wednesday evenings at 6:45 pm in the lower level of the church. Your teens will SHINE as they come to know what they believe and know how to live out their faith. They will love our Church as well as the events and outreach tailored to our teens. Let them SHINE!